The Fellowship was fortunate enough to obtain a copy of THE VALIANT #1 from Valiant Entertainment. The story is by Jeff Lemire and Matt Kindt, with art by Paolo Rivera. For 10,000 years, Gilad the Eternal Warrior has protected the Earth and its voice – the Geomancer. However, three times he failed to “the voice” from The Immortal Enemy; and that failure plunged the world into a new dark age. Now Gilad feels that The Immortal Enemy is returning and destroy the latest Geomancer – Kay McHenry. But this time Gilad thinks things will be different as he has allies who could help him beat this threat. But is he right, or is he doomed to fail once again? This is another awesome read from Valiant, thanks to the great team up of Lemire and Kindt. Most of this issue is flashbacks to Gilad’s failures against The Immortal Enemy and the consequences of that failure. It basically sets up what will happen if he fails once again. To say that Paolo Rivera’s art is beautiful is an understatement; he knocked it out of the park with this issue. I think this would be a great jumping on point for people who are interested in getting on the Valiant train; and I would advise to do so. It’s been a great ride so far! 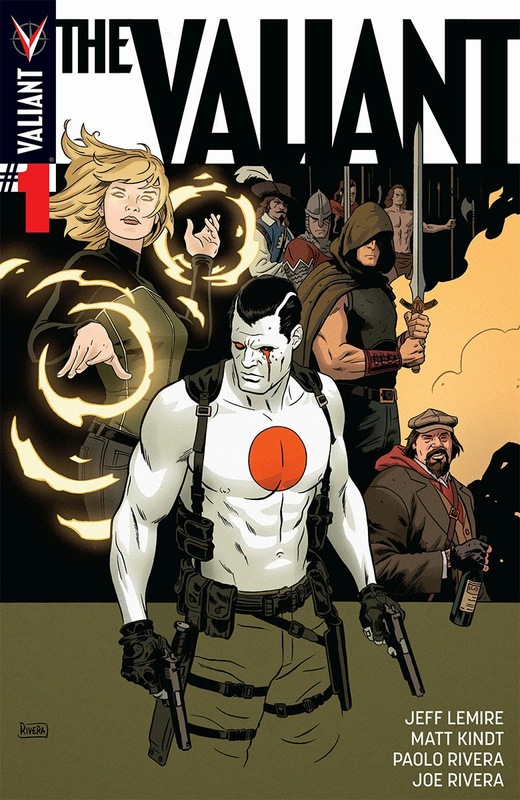 THE VALIANT #1 is in stores now, or available for ordering at valiantuniverse.com.